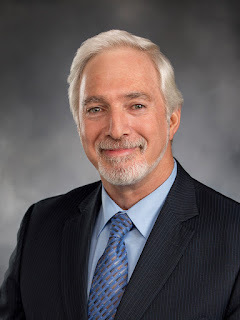 Bill by Representative Pollet responds to fraudulent claims to entice students into high student loan debt and the Trump administration relaxing federal oversight. In the just concluded session, the Washington Legislature passed groundbreaking, first-in-the-nation legislation to protect students at for-profit colleges and career schools in Washington from deceptive and fraudulent recruitment claims and from selling high-interest rate student loans. HB 1439 was developed by Representative Gerry Pollet (D-46, vice-chair of the House Higher Education Committee) over the past two years to address how thousands of students have been left saddled with high and unpayable student loan debts from for-profit college and technical schools. These students often graduate from programs for careers that do not earn enough to pay off their debt, for which job placement rates were far lower than claimed, or where the school or program closed down entirely in Washington. For the first time in the nation, under HB 1439, a state will bar for-profit colleges from selling their own student loan products or from having a financial interest in getting students deeper into debt. Corinthian (which operated as Everest Colleges in Washington) marketed loans to students with 15% interest rates and 6% loan origination fees, which were required to be paid back while a student was in school. The federal government documented that Corinthian barred students from class if they were 30 days behind payment, and 60% of its students were in default for 3 years. Corinthian charged students $33 – $43,000 for an AA degree, compared with our community colleges which charge under $10,000. Under HB 1439, schools will be barred from selling student loans in which the school has a financial self-interest, as Corinthian did. The bill also mandates that all marketing materials citing job placement rates, average pay or loan default rates need to reflect the same rates calculated for the state and federal governments. The bill bans use of military logos in those materials as well. The final bill includes a tuition recovery fund for degree-granting institutions and career schools such as cosmetology schools, in the event of the closure of the school. The bill also continues a two-year collaborative process led by the William D. Ruckelshaus Center to continue to review how the for-profit educational sector is regulated by various state agencies and to issue additional consensus recommendations on aligning the overlapping jurisdictions of three agencies. The elements of the bill were all agreed to in that process with participation by the Northwest Career Colleges Federation. “It’s unconscionable that some of these schools led students into massive student loan debts with no realistic chance of paying off the loans,” continued Pollet.